The DCI group employs almost a 1,000 people in a number of highly specialized fields revolving around the provision of training and consultancy services. 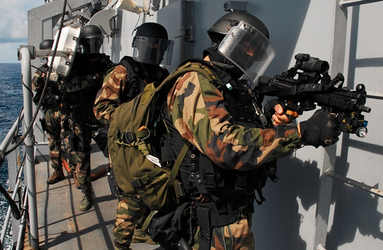 Formed with a view to facilitating the entry into operational service of French military exports, this entity, in which the state is the largest share-holder, has now branched into areas that are highly relevant to 21st century warfare. For example, its cyber defense consulting branch first emerged in 2014 and is based on a partnership with the French military’s General Staff. This department specializes in helping clients build the capacity to resist a range of cyber threats. This will begin with the creation of a Concept of Operations document (CONOPS) setting out objectives, strategies and operational processes. Once this has been done, requirements and specifications will be set down. The client will be supported and advised through all the remaining phases of the process, including bid and project management, testing and acceptance testing and operational deployment. Underpinning all of this is a state of the art CyLab platform. Customers include many of France’s closest military allies in the Middle East, south-east Asia, South America and North Africa, a number of whom avail themselves of the DCI group’s skills in electronic warfare training. Courses have been developed in tandem with several defense groups boasting a global reputation. These include Thales, MBDA and Lacroix. Thales in particular has worked in partnership with the DCI group to create a whole catalogue of different training courses. 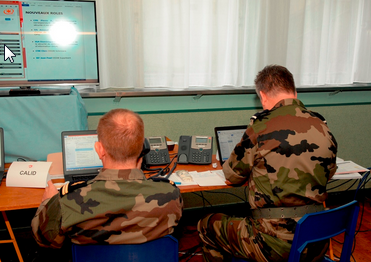 DCI also has extensive experience in training French armed forces personnel about electronic warfare, mostly where this relates to the conducting of air operations. As such, the training is designed to be very much operational in nature and as always, courses are constantly being updated to remain relevant to the latest threats. POLYSORB® ID: a bio-based plasticizer for land and sea!